How much do people really know about Africa? 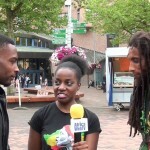 In this first episode, Africa Web TV’s Phay Mutepa goes to the street of Amsterdam to test people’s knowledge. You will be surprised at some of the answers.